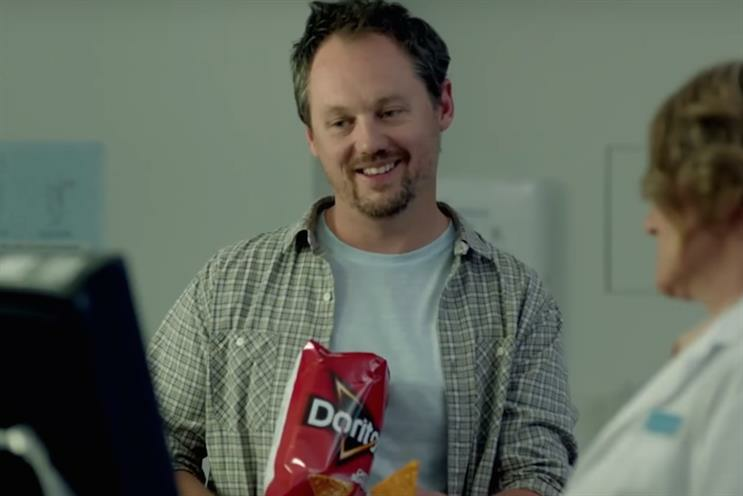 Doritos 'Ultrasound' is the most shared ad of Super Bowl 2016, according to data supplied today by video ad tech company Unruly. The ad, which features a pregnant woman getting an ultrasound while her husband munches on a bag of Doritos, attracted a total of 893,465 shares, putting it way ahead of the extended version of T-Mobile’s "Restricted Bling", in second spot (346,854 shares). Doritos’ win brings Budweiser’s Super Bowl dominance to an end. The AB InBev company’s ads have finished at the top of the pile for the last three Super Bowls, but the beer brand had to settle for third spot this year, with "Give A Damn", featuring Helen Mirren, attracting 301,317 shares. Despite a number of brands releasing their ads early online, this year has seen a significant decrease in sharing activity from the previous year. The top 10 ads have so far generated 2,889,156 shares online altogether - a 36% decrease on what the top 10 managed at the same time last year (4,485,297) and only slightly higher than in 2014 (2,460,075). In fourth spot is an ad celebrating the 20-year anniversary of Pokemon, followed by the extended version of Heinz’s cute "Wiener Stampede" in fifth. The 30-second version of the same ad also makes the top 10. While Doritos took the number one position, T-Mobile managed to get more ads in the top 10 than any other brand. Both the extended and 30-second versions of "Restricted Bling" starring rapper Drake, feature in the top 10, while "Drop The Balls" was in ninth - despite only being released online yesterday. Other ads to appear in this year’s top 10 include Hyundai’s "First Date" (6th), starring US comedian Kevin Hart, and Mountain Dew’s "#PuppyMonkeyBaby" (7th). 4. Pokemon - "#Pokemon20: Pokémon Super Bowl Commercial"
9. T-Mobile - "Drop the Balls"
Unruly’s Super Bowl Top 10 is based on data from the Unruly Analytics™, which ranks Facebook and YouTube videos by the number of shares they attract on Facebook and the blogosphere as opposed to the number of views. As such, it’s a true measure of a brand’s viral success, ranking branded content by the volume of active pass-on rather than the more passive metric of video consumption (views). Stats were compiled on February 8, 2016.